Myung Ah Park received her Ph.D. and M.S. in computer science from The University of Texas at Dallas in August 2007 and her M.S. and B.S. in mathematics from Chungnam National University, Korea in 1992 and 1990, respectively. 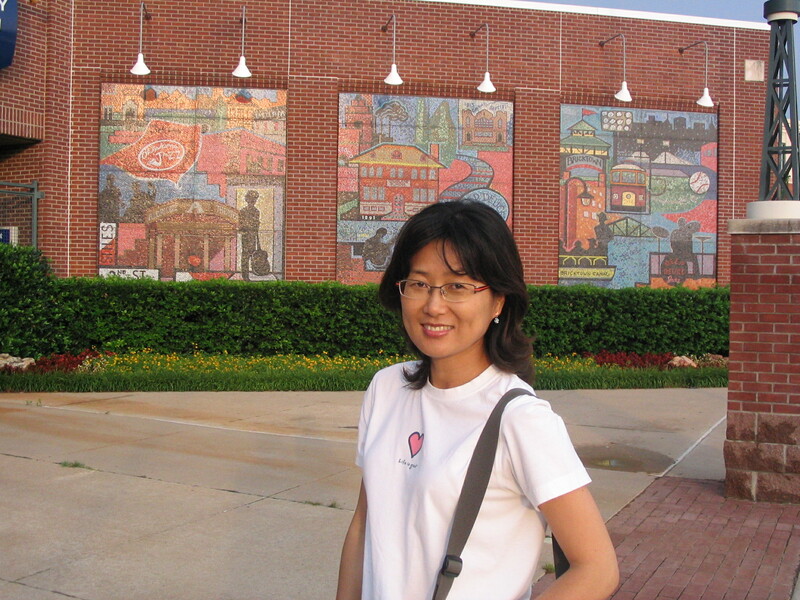 She joined the Department of Computer Science at University of Central Oklahoma as an assistant professor in Fall 2008. Prior to it, she worked for the Department of Computing and Technology at Cameron University as an assistant professor from Aug. 2007 to May 2008. Her current research interests are security/forensics education, security issues in wireless sensor networks, web applications, and cloud computing, and resource optimization problems in wireless sensor networks. She is a certified forensic analyst since 2009. Myung Ah Park worked for Electronics and Telecommunications Research Institute as research engineer from 1993 to 2001. From 2001 to 2007, she took a leave for her Ph.D. She was involved in several R&D projects such as nationwide value-added information retrieval system named Advanced Information Control Processing System (AICPS), TMN-based number portability system and integrated network management system for Frame Relay and ATM networks. T. Ozugur, M. -A. Park, and J. P. Jue, "Label Prioritization in GMPLS-Centric All-Optical Networks," Proc. of IEEE ICC 2003, Anchorage, AK, May 2003. M. A. Park, K. J. Park and S. K. Kim, "Service Management for IN-based Local Number Portability," Proc. of Asia-Pacific Conference on Communications, pp. 1290-1293, Beijing, China, October 1999. M. A. Park, K. J. Park and S. K. Kim, "TMN-based Number Porting Mechanism," Proc. of Asia-Pacific Network Operations and Management Symposium, pp. 563-564 , Kyongju, Korea, September 1999. J. H. Kim, K. J. Park, M. A. Park and M. J. Hwang, "Web-based Subscription Administration System for IN-based Local Number Portability," Proc. of Asia-Pacific Network Operations and Management Symposium, pp. 305-316 , Kyongju, Korea, September 1999. K. J. Park, M. A. Park and S. K. Kim, "A Secure Association Management in the Number Portability Service Management," Proc. of Asia-Pacific Network Operations and Management Symposium, pp. 561-562 , Kyongju, Korea, September 1999. M. A. Park, K. J. Park and S. K. Kim, "Subscription Management for Number Portability," Proc. of Korea Information Communication Society, pp. 1897-1900 , Seoul, Korea, November 1998. M. A. Park and K. J. Park, "Number Portability Service Management for Two-step Routing Mechanism," Proc. of the 2nd Conference on Next Generation Communication Software, Serak, Korea, December 1998. H. W. Lee, M. A. Park, J. S. Chung and D. U. Kim, "Interworking of Internet Access Services through Frame Relay using Switched Virtual Circuits," Proc. of the 3rd Annual International Conference on Industrial Engineering Theories, Applications and Practice, Hong Kong, December 1998. M. A. Park, S. H. Lee and Y. H. Jung, "Dial-up Internet Access Service System with Automatic Billing Mechanism," Proc. of International Conference on Information Communications and Signal Processing, pp. 148-151, Singapore, July 1997. M. A. Park, S. H. Lee and Y. H. Jung, "Implementation and Test of An Open Internet Access Service System," Proc. of IEEE MICC, pp. S13.1.1-S.13.1.4, Kualar Lumpur, Malaysia, September 1997. H. W. Lee, M. A. Park, H. S. Shin and D. W. Kim, "Design and Implementation of Internet Access Service over Frame Relay," Proc. of the 2nd Annual International Conference on Industrial Engineering Theories, Applications and Practice, pp. 221-226, SanDiego, USA, December 1997. M. A. Park and D. W. Kim, "The Functional Structure of Management Agent for Network Elements in Nationwide Information Retrieval System," Proc. of International Symposium on Communications, Taiwan, September 1997. S. H. Yi and M. A. Park, "An Implementation of Internet Access Service Subsystem using PPP," Proc. of the 8th Korea Information Science Society Conference, pp. 79-82, November 1996. M. A. Park and S. H. Yi, "The Implementation of Operation Administration and Management Functions of Internet Access Subsystem," Proc. of the 8th Korea Information Science Society Conference, pp. 39-42, November 1996. M. A. Park and Y. H. Jung, "ISDN Internet Services," Weekly Trend of Technology, TIS-96-751, pp. 16-35, April 1996. M. A. Park, T. M. Han and P. D. Cho, "The Software Design of User Interface System for ISDN Dial-up Services of AICPS," Proc. of the Korea Information Communication Society, Korea, June 1996. T. M. Han, M. A. Park and P. D. Cho, "Design and Implementation of ISDN Network Access System," Proc. of the Korea Information Communication Society, Korea, June 1996. M. A. Park and K. S. Kim, "MMCF Reference Model and the Architecture of Communication Broker for Multimedia Communications," Weekly Trend of Technology, TIS-95-690, 690, pp. 16-35, April 1995. K. S. Kim, M. A. Park and P. D. Cho, "The Implementation of a Peer-to-peer Connection Oriented Mode Protocol for Multimedia Data Transfer," ROC&C'95, pp. 123-128, Acapulco, Mexico, October 1995. K. S. Kim, Y. H. Kim, M. A. Park and J. Y. Lee, "The Implementation of a Peer-to-peer Connection Oriented Mode Protocol for Multimedia Data Transfer Considering MMCF," Journal of the Korea Information Science Society(C): Computing Practices, Vol. 1, No. 1, pp. 46-53, September 1995.